Commissioner Cindy Hartley Ross is a Lakeland Florida native. She has been married to Dennis Alan Ross since 1983 and they have two adult children, Shane and Travis. They are all members of First Presbyterian Church, and have enjoyed traveling to 49 United States and several countries together as a family. Recently she and her husband Congressman Dennis Ross visited Israel where she was inspired by their amazing patriotism, determination and love and appreciation for America. Community service has been a way of life for Cindy since serving as a hospital volunteer in Middle School. Mrs. Ross is in her 5th year serving on the Florida Commission on the Status of Women and serves on the Executive Committee and serves on the Florida Commission on the Status of Women Foundation Board. Cindy is on the Board of Trustees for Florida House, in Washington DC, and has served on their Lakeland Council for 24 years. Mrs. Ross is Program Chairperson for the Republican Congressional Spouses in Washington DC and a member of The Congressional Club (bipartisan) First Lady’s Luncheon Committee. She serves on the Polk Arts Alliance (PAA) Resource Council as a former PAA (2x) President and was editor for its Art-i-facts magazine. She serves on the Board of Governors for the Polk Museum of Art; the Advisory Board of Habitat for Humanity; and is currently an Ambassador for Girls Inc. and a past Girls Inc. Board Member. Cindy was appointed by Governor Scott to serve her alma mater Polk State College (PSC) on their District Board of Trustees and previously served under Governors Bush and Crist for 12 years consecutively, serving as Vice Chair and Chair of the PSC District Board of Trustees respectfully. As a conservative Cindy takes great pride in the PSC administration, faculty and staff for efficiently operating their institution. Additionally she served on the PSC Foundation, was president of the PSC Alumni Association, and represented PSC in the Florida Association of Community Colleges (FACC) and the national organization Association of Community College Trustees (ACCT) where she assisted in educating and persuading legislators to retain and increase the Perkins and Pell Grants, to allow Community Colleges to offer four year Bachelor Degrees in specifically needed areas of study for the community they serve and also supported development of a national course title and numbering system synonymous for all colleges, public, private, Community Colleges and Universities to benefit transfer students. As a proud mother of two, she invested 15 years volunteering and substitute teaching in the Polk County Public School System. Having served many roles at Rochelle School of the Arts and at George Jenkins High School including President of the PTA, President of the Academic Booster Club, on the Athletic Booster Clubs, Cindy earned Volunteer of the Year at both schools, USA Presidents Volunteer Service Award and the Kids Count Award. Mrs. Ross has a sincere respect and great appreciation for teachers and believes they are truly Gods Angels on earth. 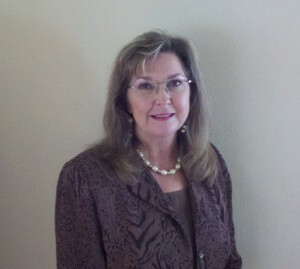 Cindy was the first female statewide wholesale floor-covering sales Rep to cover the state of Alabama. And she paved the way by being the first volunteer in Physical Therapy at Lakeland Regional Hospital. Being a woman isn’t an obstacle; on the contrary it’s a bonus for all involved!